Cute Heels is the solo project of Victor Lenis, a contemporary artist living in Brussels, Belgium. He grew up in Bogotá, Columbia during the 1990s, surrounded by the radial punk scene. He has been working with many electronic projects since 2003. He manages the label Black Leather Records, which is also a regular party with live acts and DJ sets. Over the years, Victor’s passion and fascination for synthesizers and drum machines to produce and compose resulted in various digital-only releases as well as his first vinyl release, an EP on Gooiland Elektro. 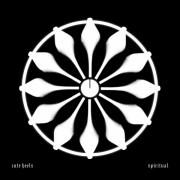 Cute Heels is ready to release their debut album “Spiritual” of all new material written throughout 2013. 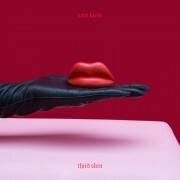 “Spiritual”, rides the line between cold electro-techno and left field electronic body music. Inspired by equal parts Liaisons Dangereuses and Drexciya, “Spiritual” takes the listener on a journey over 8 tracks and 40 minutes of music. Cute Heels has been called ”the new blood and spirit for the next step in techno music” by electro/techno pioneer Juan Atkins. Listening to “Spiritual” you can see why. The songs on this full length reveal a sublime influence from Detroit techno, early Chicago house and new wave. Advanced electronics for the dance floor, pumping and sophisticated. The album was recorded and mixed by Victor at Sensorium Studio in Zagreb, Croatia in November 2013. Each song has been mastered for vinyl at Fantasy Studios in Berkeley by George Horn. Each LP is packaged in a custom-made jacket by our in-house designer Eloise Leigh and incorporates the geometry of analog synthesizers and celestial rose patterns.